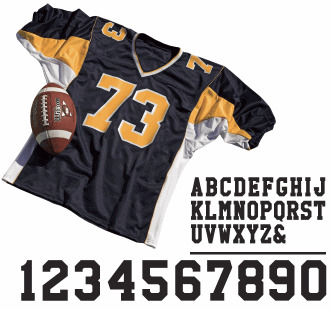 100% polyester twill with adhesive backing Must be sewn to prevent fraying. Comments: Preheat garment - Must be sewn to prevent fraying. Click on [FORGRND] or [BKGRND] Number then [PACK] or [KIT]. Select letters, color, quantity, then click [Add to Cart].